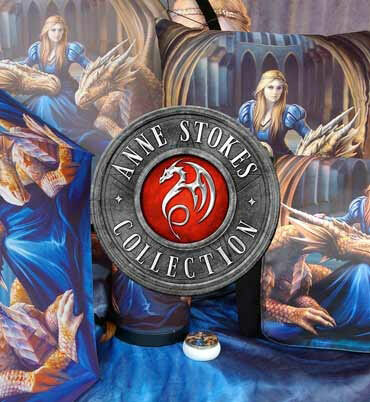 Exclusive to Nemesis Now, this enchanting shoulder bag comes from the wild and untamed imagination of magically talented Fantasy and wildlife artist Lisa Parker. Beneath a clear starlit sky, an adult wolf stands on an ancient, gnarled tree root, looking down at their pup. The pup sits back and looks up at them, as if seeking guidance, reassurance and protection, or as if to break into their first howl. Behind them, the aurora borealis tinges the sky green, the silhouettes of fir trees reaching up. This shoulder bag has a smaller front pocket in addition to the main pocket for greater ease and flexibility of storage, as well as an adjustable strap, making it perfect for anyone who wants guidance through the wilderness of the far north.